I start by making a paper pattern. 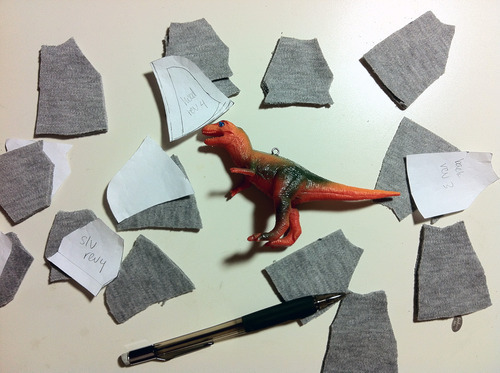 I carefully analyze the shape of each dinosaur, and I use my apparel design background to draft the first pattern. I then cut in the fabric and check the fit. Then I make revisions, and do the process all over again. Revise the pattern, cut, sew, check. Revise the pattern, cut, sew, check. 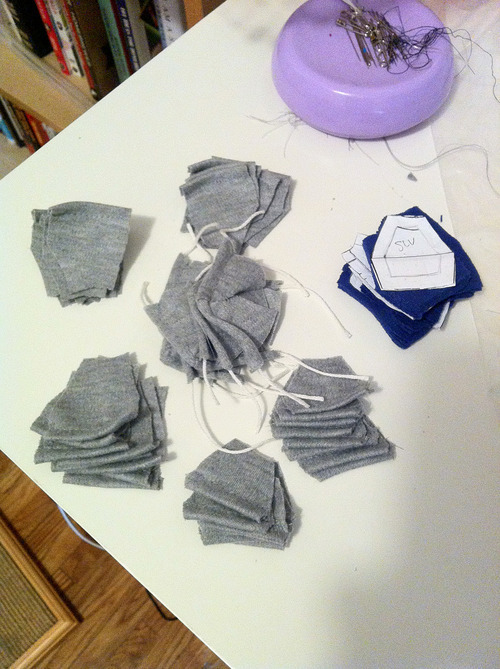 When I am finally satisfied, I mark the paper pattern as “FINAL” and then I cut the final hoodie fabric in multiples. 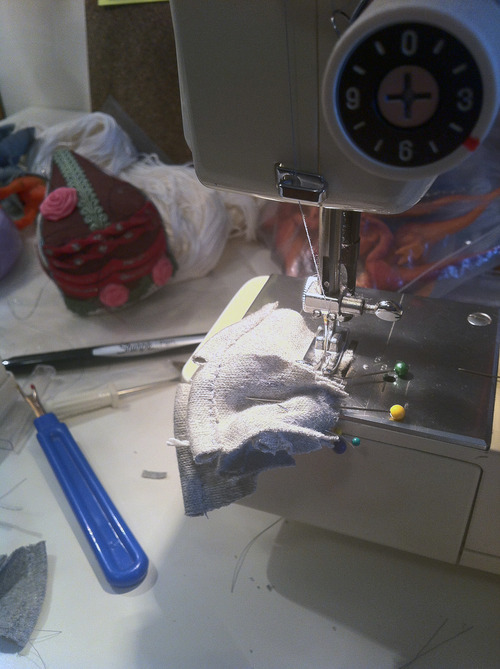 Sewing is by far the most challenging step. 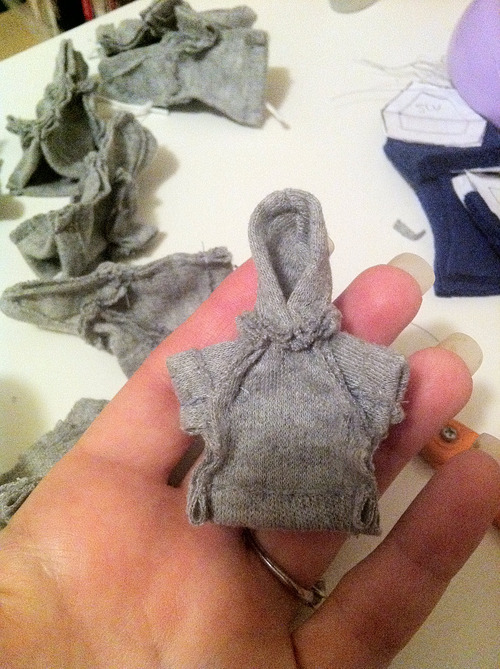 I use a machine to sew the hoodies, and once seams start coming together and shapes are formed it gets very difficult to sew the remaining seams. 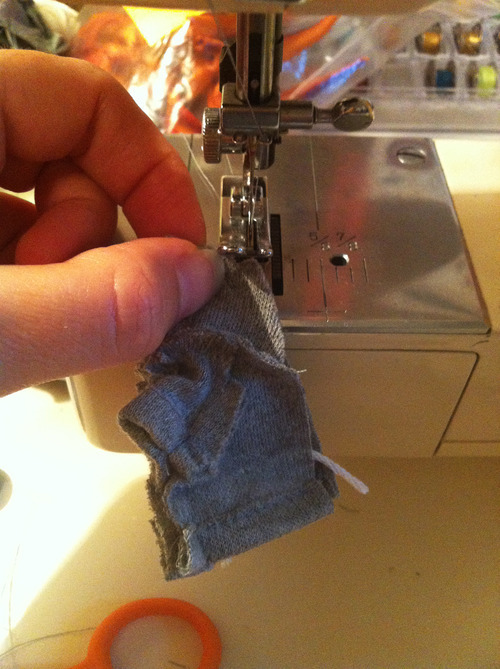 The sewing order - the order in which the pieces are sewn together - is very important. 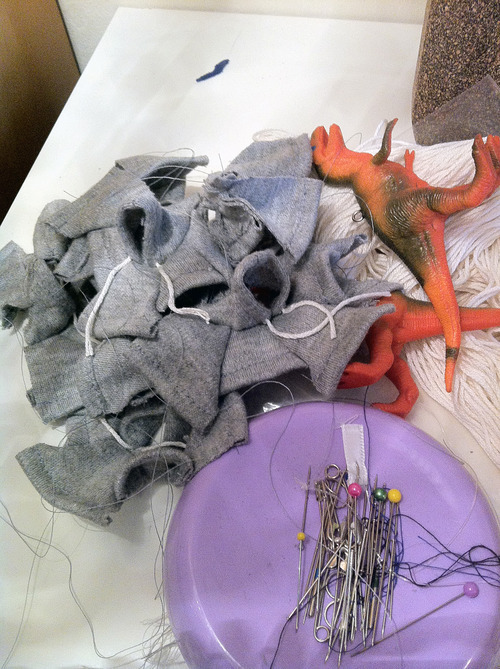 Everything is calculated so that the sewing of these miniature garments goes as smoothly as possible. 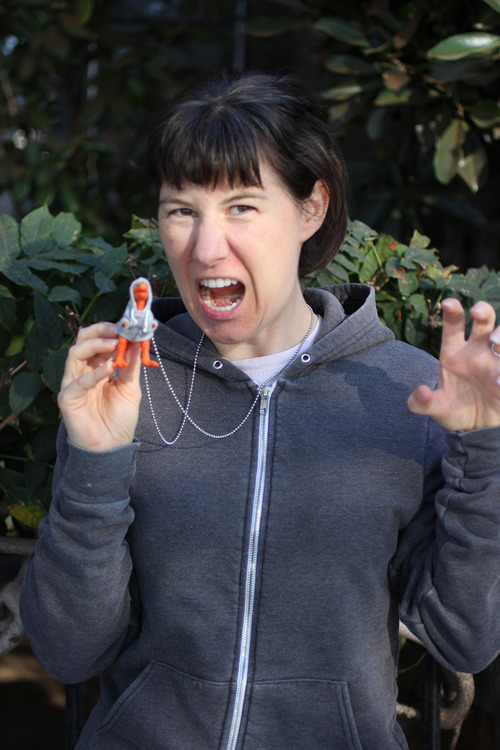 To make the necklace, I drill a small hole into the neck of each dinosaur, and then insert an eye screw and secure with some epoxy resin. 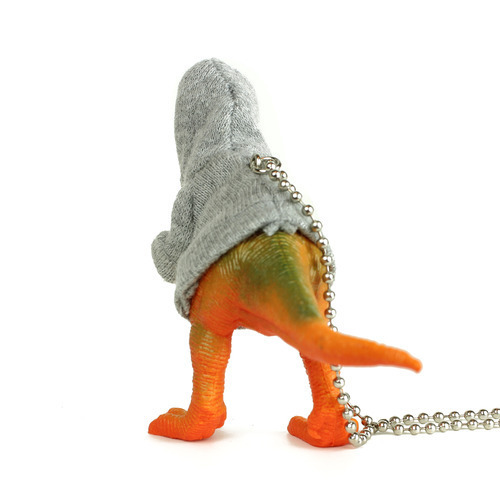 The hoodie has a small opening in the back seam that coordinates with where the eye screw is. A jump ring is attached to the eye screw, and a rhodium plated steel ball chain forms the necklace. A gold plated Funhouse Labs logo tag is added and the piece is complete. This unique, clever, and quite conversational piece is intended to make you smile and to brighten your day.